Item #AD-BN-659: 19" long Necklace of Graduated 6-12mm pillow shaped Beryl (Aquamarine, Pink Morganite & Goshenite) Beads of 171.44 cts. TW; Gold-plated Sterling Silver magnetic clasp. Item #TBR-GOS-79: 19 1/2" long Necklace of 3.5-4mm faceted Goshenite (Colorless Beryl) Beads with Sterling Silver "S" clasp. Item #AD-BN-749: 25" long Necklace of Graduated 6-13mm pillow shaped Beryl (Aquamarine, Pink Morganite & Goshenite) Beads of 282.00 cts. TW; Gold-plated Sterling Silver magnetic clasp. 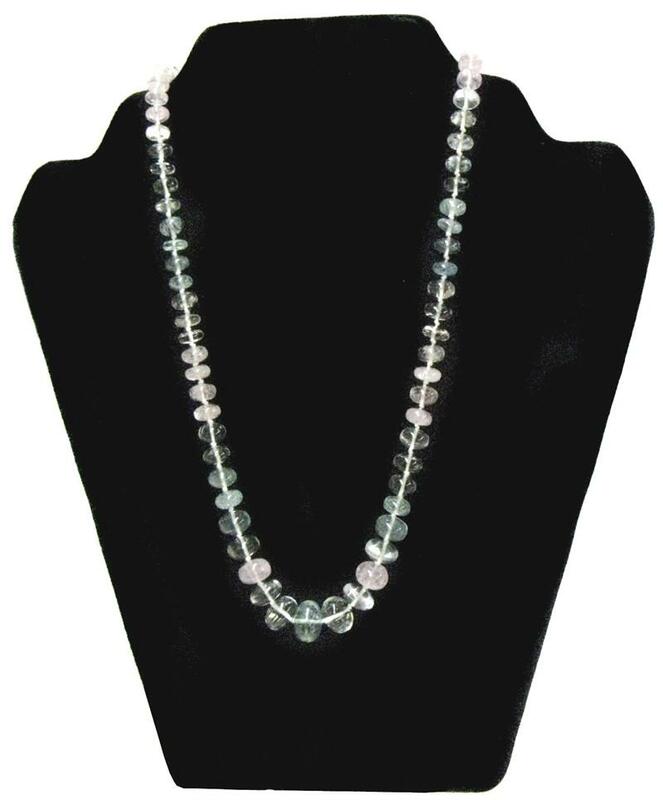 Item #AD-BN-1029: 25" long Necklace of Graduated 5-19mm pillow shaped Beryl (Aquamarine, Pink Morganite & Goshenite) Beads of 308.70 cts. TW; Gold-plated Sterling Silver magnetic clasp. Item #AD-BN-1500: 31" long Necklace of Graduated 6-22mm pillow shaped Beryl (Aquamarine, Pink Morganite & Goshenite) Beads of 441.40 cts. TW; Gold-plated Sterling Silver magnetic clasp.